INDIANAPOLIS — Burke Mamlin, MD, and Paul Biondich, MD, of the Regenstrief Institute and Indiana University School of Medicine will be honored on November 12 with the 2016 Donald A.B. Lindberg Award for Innovation in Informatics. The award will be presented by the American Medical Informatics Association (AMIA), the largest international professional biomedical informatics association, at its annual symposium. Dr. Mamlin, an internist, and Dr. Biondich, a pediatrician, are pioneers in the development, testing, and use of open source software to support the delivery of health care in developing countries. AMIA’s prestigious Lindberg award recognizes individuals for a technological, research, or educational contribution that advances biomedical informatics. The work leading to the award must be conducted in a not-for-profit setting, and the adoption of the particular advance by the informatics community must be on a national or international level. The honoring of Dr. Mamlin and Dr. Biondich is the first time that the Lindberg award has been presented to more than one person. OpenMRS, the system that grew from their initial concept, is designed to be usable in resource poor environments and can be customized with modules — laboratory test ordering and reporting, for example, or public health reporting — without programming. It is intended as a medical record system platform that can be adopted and modified wherever required, eliminating the need to develop a system from scratch. In 2015 when commercial electronic medical record systems weren’t equipped to handle the problems encountered in the Ebola outbreak in West Africa, OpenMRS, supported by the worldwide OpenMRS community, was adapted to help with the management of the large number of patients in extreme conditions. Today, the OpenMRS community forms the world’s largest open source project to develop health information technology for resource-constrained environments. The OpenMRS platform is deployed in more than 80 countries throughout the world. Dr. Mamlin is a graduate of Wesleyan University and earned a medical degree from Indiana University. 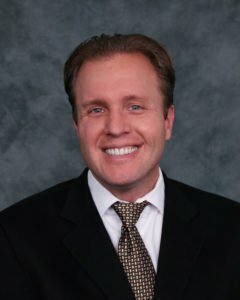 Dr. Biondich is a graduate of Emory University and earned a medical degree from the University of Florida. Both completed National Library of Medicine-supported medical informatics fellowships at the Regenstrief Institute and joined the institute’s Center for Biomedical Informatics in 2001. Dr. Mamlin is an associate professor of clinical medicine and Dr. Biondich is an associate professor of pediatrics at IU School of Medicine. In addition to OpenMRS, of which he is the development lead, Dr. Mamlin’s work has focused on computerized physician order-entry and provider interfaces with medical record systems. 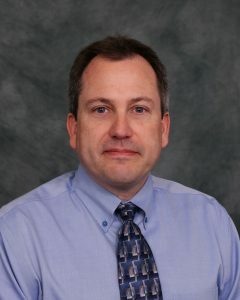 Dr. Biondich, who leads the Global Health Informatics program at the Regenstrief Institute, also developed a decision support system, Child Health Improvement through Computer Automation (CHICA), and leads global efforts on health information exchanges within resource emerging environments. The Regenstrief Institute’s CBMI is an internationally recognized leader in biomedical informatics focused on improving health care through informatics. The center develops and applies health information technology solutions to generate knowledge about health, disease and treatment, help clinicians make optimal decisions, empower patients, and inform healthcare policy. The center focuses on clinical applications, computer-based decision support, data mining, advanced analytics, healthcare information standards, and global health. These applications and tools are widely recognized for their roles in improving quality of care, efficiency of healthcare delivery, reducing medical errors, and enhancing patient safety. Approximately 2500 informatics professionals are expected to attended AMIA’s 2016 symposium in Chicago where Dr. Mamlin and Dr. Biondich will be honored.